There's been a lot of hype for the upcoming Final Fantasy Type-0 HD for the Xbox One and PlayStation 4. That hype hasn't necessarily come from the port of the game itself, but what's being included by Square Enix in the package. When Final Fantasy Type-0 HD releases this spring, it will include a demo for Final Fantasy XV. That's a huge, huge reason why people are paying so much attention to this remake. 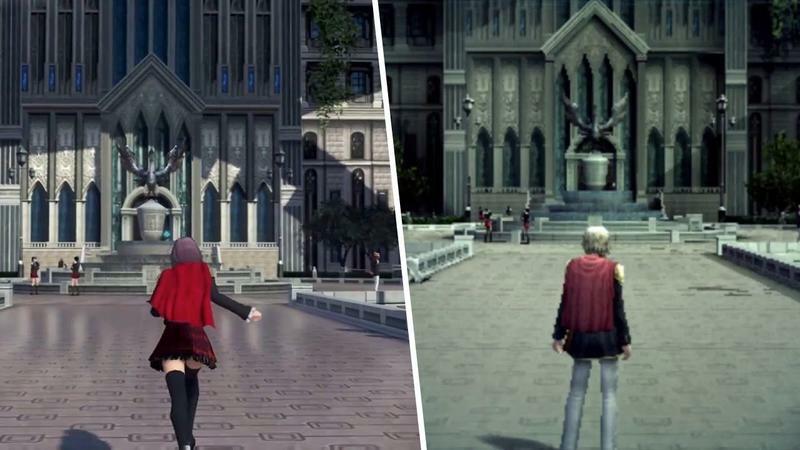 Today, we have a video that shows the graphical changes between the PSP version of Final Fantasy Type-0 and the one that's hitting the brand new generation of home consoles. It's obviously a big leap in graphics, but I have to say that I'm not totally and completely impressed. Maybe it's just me, but this looks like a PlayStation 3 and Xbox 360 game, not one for the new machines. Still, everything I've heard about Final Fantasy Type-0 is that the real gem lies in the game's unique mechanics. The battles, the army control both feel completely fresh within the franchise's history. That's pretty cool. Plus, hey, there's the demo for Final Fantasy XV that comes with the thing. That's a huge reason for all this hullabaloo too. Are you going to snag Final Fantasy Type-o HD when it releases for the PlayStation 4 and Xbox One on March 17, 2015?